With more freedom to maneuver on foreign than domestic affairs, and with their eyes focused squarely on their legacies, all modern U.S. presidents have sought to craft the elusive deal that will solve a protracted global conflict. So, with dismal prospects for Israeli-Palestinian peace, we shouldn’t be surprised that President Trump is now pursuing a deal to end North Korea’s nuclear program. The coming summit between Trump and Kim Jong Un presents the riskiest of situations for the United States, however, for it pits the least knowledgeable modern-day president on foreign affairs against a shrewd young dictator who’s maintaining the family dynasty in the same iron-fisted way as his father and grandfather. That raises the stakes immeasurably for the United States, which seeks a full rollback of North Korea’s nuclear program in exchange for sanctions relief and a warming of relations between the two nations — and it has huge implications for U.S. relations with China and such American allies as South Korea and Japan. Worse, Trump will square off against a leader whose predecessors cut multiple deals of a similar, though less ambitious, nature with Washington — a North Korean freeze or partial rollback of its nuclear program in exchange for U.S. aid — only to see Pyongyang renege and later resume its nuclear advancement. Before meeting with Kim, Trump must understand the history of U.S. interactions with Pyongyang, the role of U.S. troops in South Korea, and the interests of U.S. allies in the region. Once at the table, he must reject Kim’s unverifiable pledges and, if necessary, walk away empty-handed. As global developments of recent years clearly show, agreements that call for nations to scrap their weapons of mass destruction are tempting for U.S. leaders to cut but very hard to verify in their implementation. After Bashar Assad used sarin gas on his own people in August of 2013, President Obama cut a deal with Russia’s Vladimir Putin to destroy Syria’s chemical weapons stockpile, but the evidence suggests that al-Assad kept some of his weaponry and has since used chlorine more than once. Meanwhile, evidence has arisen that since its 2015 nuclear deal with the United States and the other P5+1 powers, Iran has sought to bypass some of the agreement’s restrictions by clandestinely obtaining technology and exceeding allowable enriched uranium stockpiles – all while refusing to open its military facilities to international inspectors. But the best evidence that global agreements of this nature can prove unverifiable or ephemeral comes in connection with North Korea itself. In 1994, Pyongyang and Washington inked the “Agreed Framework” through which the former would freeze its plutonian processing program and the latter would facilitate the building of two light-water nuclear reactors for it, normalize relations between the two nations, and take other positive steps. Washington later discovered that Pyongyang was receiving secret help from A.Q. Khan’s network to enrich uranium, thus merely exchanging one path to nuclear weaponry for another. In 2005, North Korea agreed as part of the “Six-Party Talks” to abandon its nuclear programs and return to the Non-Proliferation Treaty, but Pyongyang launched its first nuclear test a year later. From the same talks, Pyongyang began to disable its Yongbyon nuclear plant in 2007 but restarted its program a year later and barred nuclear inspectors. Will the next time be different? Kim’s willingness to discuss denuclearization and a formal end to the Korean Conflict, to abandon nuclear and missile tests and shut down the test site, and to eschew demands that Washington pull its 28,000 troops out of South Korea amount more to a global “charm offensive” through which to gain leverage over Trump than to significant concession-making. Kim continues to hold three U.S. hostages, has recently suggested that North Korea is an established nuclear power (and thus no longer needs to test), and can easily reverse what he’s promised — in much the way his predecessors did with similar pledges. Besides, Trump has made the biggest concession to date by agreeing to be the first U.S. president to meet with (and thus legitimize) a leader of the Kim dynasty. Top U.S. foreign policy officials seem to understand all this because, privately, they’re reacting to Kim’s moves with skepticism. That’s fine, but the larger question is what Trump thinks as he approaches the summit. He originally reacted to Kim’s announcement that he was suspending testing and closing the test site by tweeting the words “big progress.” Administration officials, however, have since said that Trump will insist that Pyongyang dismantle its nuclear arsenal and won’t trade substantial sanctions relief for a mere freeze on testing. Here’s hoping he sticks to this principle. Lawrence J. Haas is a senior fellow at the American Foreign Policy Council. 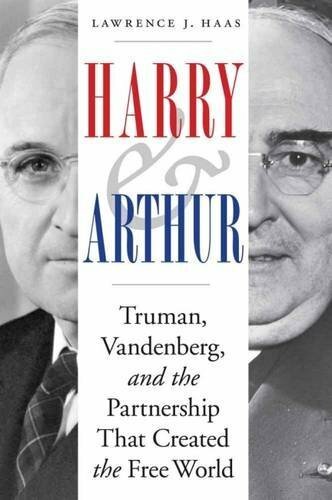 He is the author of, most recently, Harry and Arthur: Truman, Vandenberg, and the Partnership That Created the Free World. He served previously as communications director for Vice President Al Gore.